This is my first project, I have a plane that acts as a flag and it blows with the wind fine. I have dragged an image onto the flag, placing an image onto it. The image shows up, as wanted, on the plane and when I play the animation everything works as intended. However, once rendered, the image does not show up and its left the standard silver grey. Why is my object not rendering correctly? The above image shows aligning the camera to the view. Make sure your camera is pointing at your view. The view is convenient for editing. 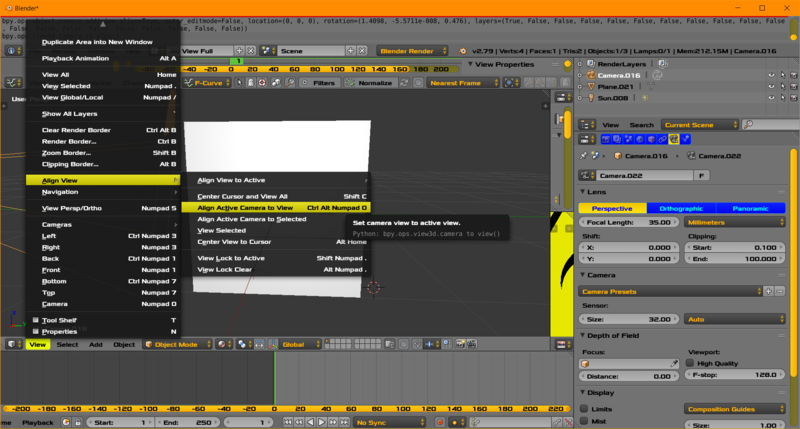 The camera determines the final render. Press Control Alt Numpad Zero. Please rotate the lights so they are pointing directly at the plane. For the simple scene and sun lamp the light ray passes directly through the plane. This placement may be good for you today although it is not strictly necessary. Direction is the most important. Such as a bright light in your eyes directly. If the light direction is parallel to the plane no brightness will occur. If the plane becomes too bright, reduce the energy setting, which is located with the yellow arrow in the image above. If you cannot get it to work in 8 minutes, I suggest the following. Save your current file. 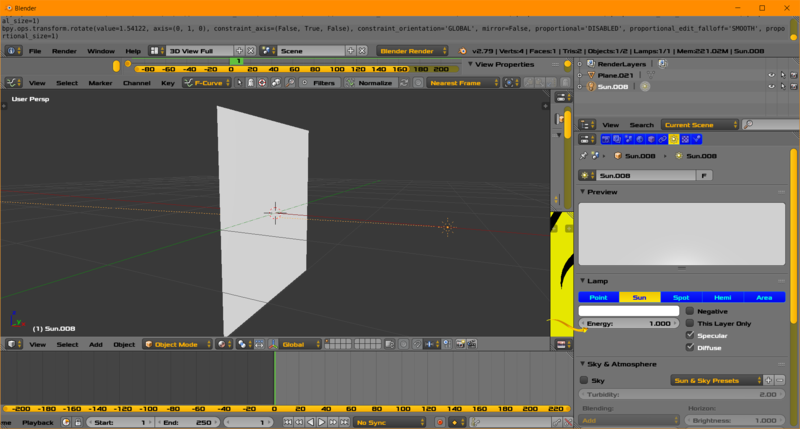 Either create a new Blender file or a new Blender [scene] . Then recreate all the objects, materials and textures, and lamps. Fresh start often helps for a simple scene .